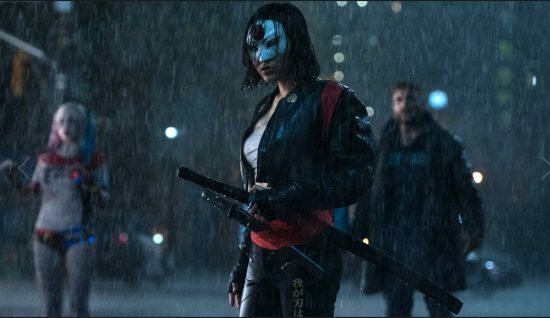 Karen Fukuhara makes her feature film debut as Katana in “Suicide Squad,” released by Warner Bros. Pictures and directed by David Ayer (“Fury,” “End of Watch”), which opened worldwide Friday in 3D, 2D, and in select IMAX 3D theaters. The movie stars Oscar nominee Will Smith (“Ali,” “The Pursuit of Happyness”) as Deadshot, Oscar winner Jared Leto (“Dallas Buyers Club”) as The Joker, Margot Robbie (“The Wolf of Wall Street,” “Focus”) as Harley Quinn, Joel Kinnaman (Netflix’s “House of Cards”) as Rick Flag and Oscar nominee Viola Davis (“The Help,” “Doubt”) as Amanda Waller. U.S. intelligence officer Waller assembles a team of the world’s most dangerous, incarcerated super villains, provides them with the most powerful arsenal at the government’s disposal, and sends them off on a mission to defeat an enigmatic, insuperable entity. She has determined only a secretly convened group of disparate, despicable individuals with next to nothing to lose will do. However, once they realize they weren’t picked to succeed but chosen for their patent culpability when they inevitably fail, will the Suicide Squad resolve to die trying, or decide it’s every man for himself? Written by Ayer based on characters from DC Comics, the film also stars Jai Courtney (“Insurgent”) as Boomerang, Jay Hernandez (“Takers”) as Diablo, Adewale Akinnuoye-Agbaje (“Thor: The Dark World”) as Killer Croc, Ike Barinholtz (“Neighbors”) as Griggs, Scott Eastwood (“Fury”) as Lt. GQ Edwards, Cara Delevingne (“Paper Towns”) as Enchantress, and Adam Beach (“Cowboys & Aliens”) as Slipknot, with Ben Affleck as Batman. Fukuhara, 24, the daughter of immigrant parents, is from Los Angeles and resides in Toronto. While attending UCLA, she continued to work on numerous shows in Japan, notably for the Disney Channel. In the leadup to the premiere of “Suicide Squad,” she has been a guest on “Conan,” “Good Morning America,” and “Up Close with Carrie Keagan,” and has been featured in W, Vogue and Nylon magazines. “I lucked into the entertainment world when I auditioned for a role on a show called ‘Disney’s Movie Surfers’ back in middle school,” Fukuhara told NBC Asian America. “My friend invited me to an open call, and I booked! The show was amazing! We went behind the scenes of upcoming Disney movies, showing sets, premieres, interviewing producers, directors, actors, animators… Previous to the show, I had taken a few acting classes but I never expected it to result to this! Before landing the role of Katana, she worked as part-time translator, subtitle editor, and waitress at a reggae-themed sushi restaurant. 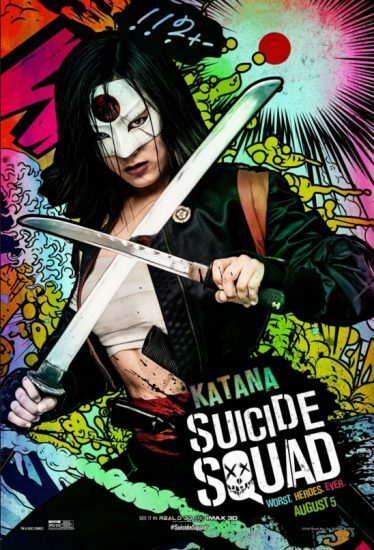 “I started off character-building by reading Katana’s comic and getting to know who she was and her background and where she came from,” Fukuhara told ScreenSlam. “…But it all really came into reality and I felt good about it when I started the physical process of becoming Katana because so much of her character comes from her martial arts background and her katana skills and all of that. So it helped a lot to go through fitness training during pre-production.